STEMulating Saturdays is a monthly program designed to increase student participation in STEM activities through hands-on challenge based learning experiences. Students are split based on their current grade. Using the PEP (Present, Engage, Prepare) model, the focus is to position our students perform at least one grade level above current educational standards. The K-3 program introduces our youth to Science, Engineering, Technology and Mathematics (STEM). In addition to preparing the K-3 students for future success in STEM. The program features interactive sessions with parents to give tips and techniques to integrate STEM learning into their daily lives. The 4th – 6th grade program brings together engineering/science and entrepreneurship. The club is one of the first to be totally focused on the science that is the foundation of the every business. In this class, students’ will develop projects that can shape the culture. Participants will also learn how to build their own business from their programs and transform themselves from buyers into sellers. The 7 th – 12 th grade program ensures that students have the foundation to succeed in college from the time the enter their freshman year of college up until their begin their academic, corporate or government careers. The STEM Ready curriculum focuses on integrating academic success along with hands-on research experiences. Students in this program will be responsible for creating solutions to real-world problems. They will learn how to look at existing problems, collect data and make qualitative recommendations on their findings. At the end of each class, students will be required to publish on their project. This program is only for 3rd Grade students. The goal of this program is to improve the proficiency of our students in Math-related topics. Participants will engage in math-based challenge concepts designed to increase their interest and efficacy in Math. This is a multi-year project. Each year, a new cohort will be added. Research shows that students who pursue engineering careers need to have an understanding of Algebra and related topics by the 8th grade. Our program is designed to ensure that our students are proficient in Algebra by the 7th grade. Cost: There is a $45 cost for the software license ALEKS*. This cost goes directly to the Software developers. STEMulates does not require an additional cost for the bi-monthly activities. Our city-wide pre-college chapter of the National Society of Black Engineers will meet on the 4th Saturday of every month. Membership is open to students entering grades 3-12. 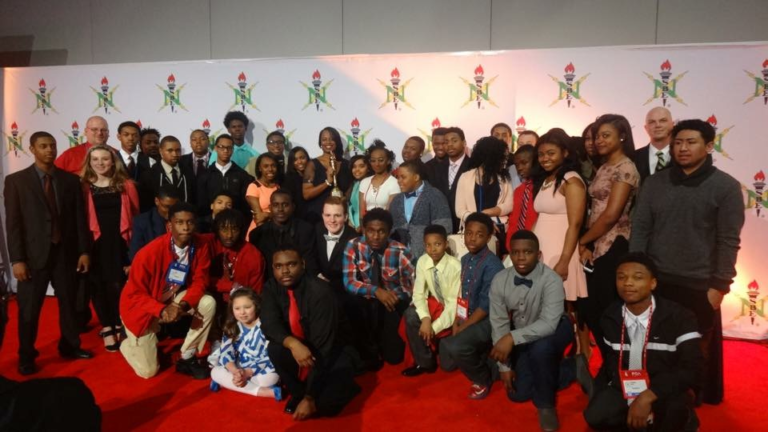 Membership in the organization gives access to national programming as well access to millions of dollars in scholarships. Students will also be able to travel to and compete in National and Regional conferences and competitions*. Cost: There is a $5 cost to participate in the program. This cost goes directly to NSBE. There is no additional cost for participants on behalf of STEMulates. There is a separate registration cost for conferences. Participants will receive conference information upon registration receipt. Interested in an after-school program at your site or volunteering please contact us.